Kendall, all located in Terminal 6. Additional artwork will be unveiled throughout the summer for guests to take pictures with and post on social media with hashtags: #100percentLA, #FlyLAX and #OtisCollege. 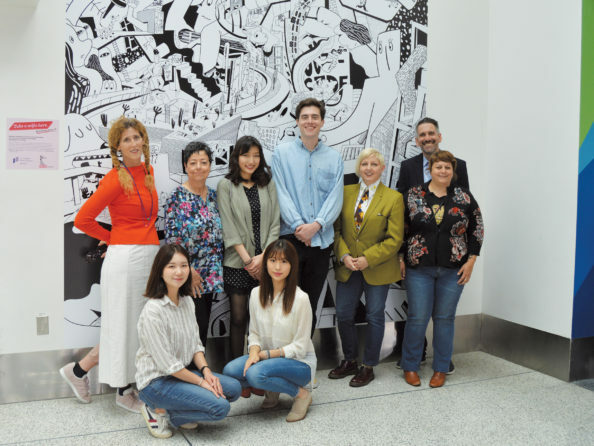 Photo caption: Otis College of Art & Design instructors and alumni pose in front of “Alternative Transportation” by Charlie Kendall, one of 10 alumni works that will be featured throughout LAX terminals. The artwork will be showcased thanks to a new partnership between LAWA and Otis designed to increase art at the airport and celebrate Otis’ 100th anniversary.